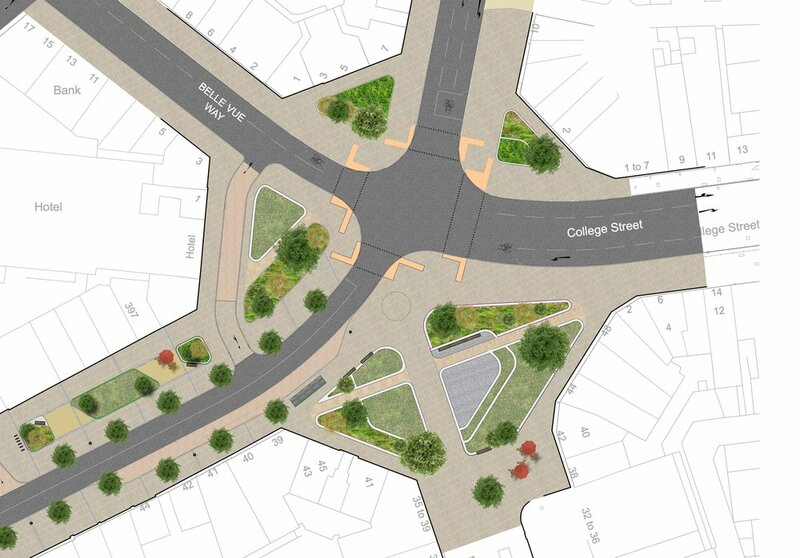 The Urbanists have been working alongside officers from the Council and WSP to redesign The Kingsway, an important east-west street in Swansea City Centre. Designed as a major City Centre street following the three night blitz during WWII, The Kingsway was once Swansea's prime shopping street. As the centre of the City migrated south The Kingsway became Swansea's late night entertainment zone. However, this too has changed and the street has lost much of its importance over the last decade. The atrophy of the economic and social activity on the street was compounded by a very movement dominated approach to highways which created a one way highway network and two way segregated bus street. The layout resulted in a unpleasant place and had an accident record that included two tragic fatalities. 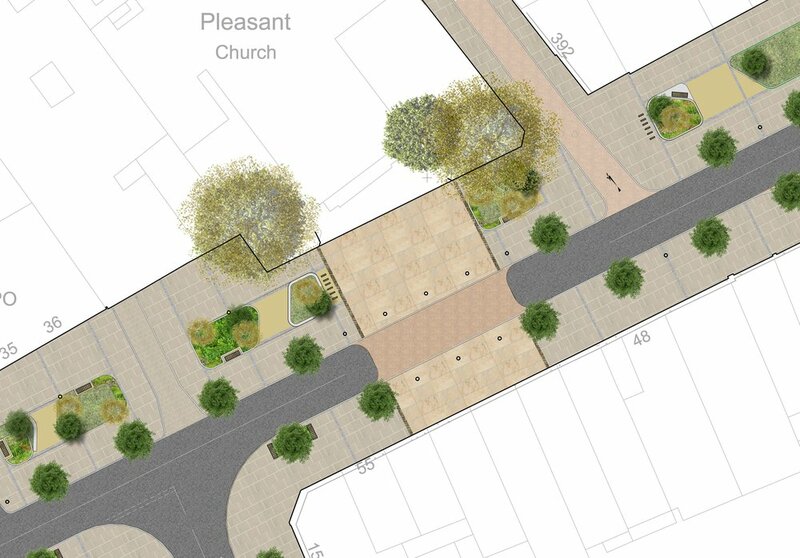 The redesign of The Kingsway is therefore a major priority for Council who are planning to revive the area with new business activity and new homes as part of their City Deal bid. 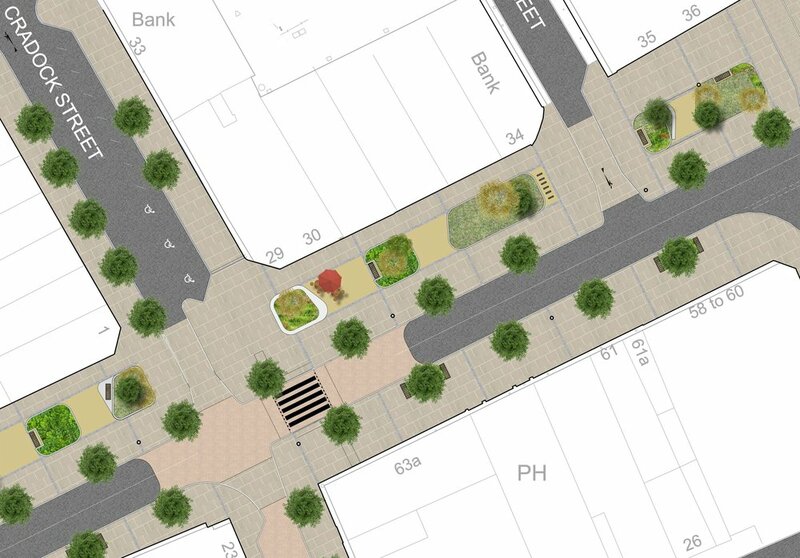 Achieving this objective is only possible by a redesign of the street to ensure that it is a pleasant and safe environment for pedestrians and cyclists while also functioning as part of the City's highway infrastructure. As landscape architects and urban designers we have been working closely with a range of Council Officers and Members as well as a range of external stakeholders to devise a concept that works and then refine it. Our role has been to be an integrated part of the project team, while also being the lead Quality Auditor for the scheme. We have been exploring scale and dimensions, the use of space and the application of details. We have been testing, researching international best practice and refining the scheme with the design team at the Council. The project is currently to an advanced design concept stage, which will be refiined further following consultation and further engagement with stakeholders. "Our plan is to develop an employment district on The Kingsway, so a significant improvement in the area's look and feel is vital if we're to attract major employers there and create thousands of new jobs for local people. "The transformation of The Kingsway and the creation of a new 'Central Park' in the heart of the city supports our regeneration plans and our ambitions to create a greener, more welcoming city centre with more visitors and shoppers, helping support our existing businesses and attract more to investment in Swansea in the future."